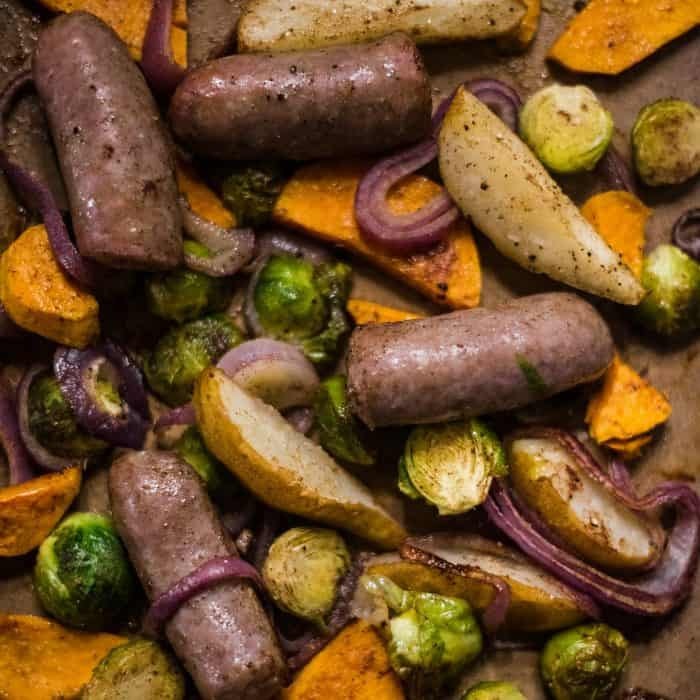 Enjoy Brussels Sprout Pear Bratwurst Sheet Pan Dinner for a simple, easy-to-prepare dinner, delicious weeknight meal. 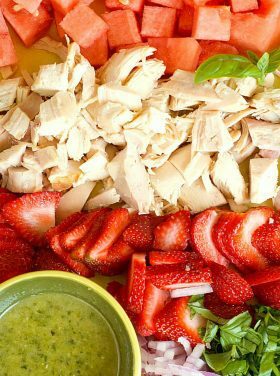 Easy clean up; on the table in 30 minutes! 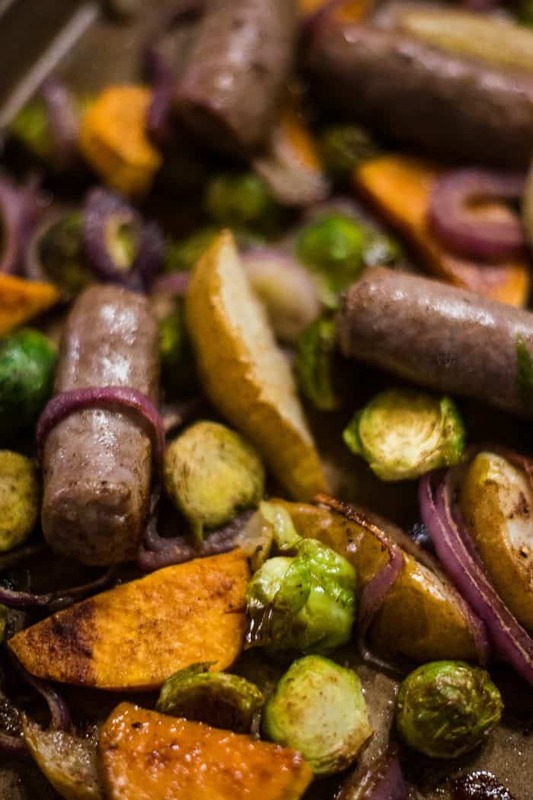 Friends, for a simple, quick weeknight meal, today I’m sharing one of our family favorites: Brussels Sprout Pear Bratwurst Sheet Pan Dinner. Throughout the year, I use the Nourished Planner to help me be more efficient with my blogging and to keep me organized overall. I love it! There are so many helpful tips, recipes, and inspiration. I’m sharing it with you, because it’s something you may want to order! This week, I couldn’t have shared any better tips than these (taking 2 excerpts from their newsletter). Today’s gift of nourishment is to cook, just because. We say ‘just because’ mostly because we don’t want this to be another chore or stress on your to-do list. Today, choose to stay in and make a comfort meal, like this lasagna, or this hearty soup. Better yet, double the recipe and pass it on, to fill someone else’s refrigerators for the coming week ahead. Find one recipe you love, or one you’ve been meaning to try, and double it. Then, pass it on and let the gift of cooking continue. The best life is an adventurous one, so today’s gift of nourishment is the gift of spontaneity. To be a moment-maker, live for the opportunity and the adventure. Find some way today to be spontaneous. It doesn’t have to be an over-the-top grand adventure, like skydiving or sailing the Seven Seas. 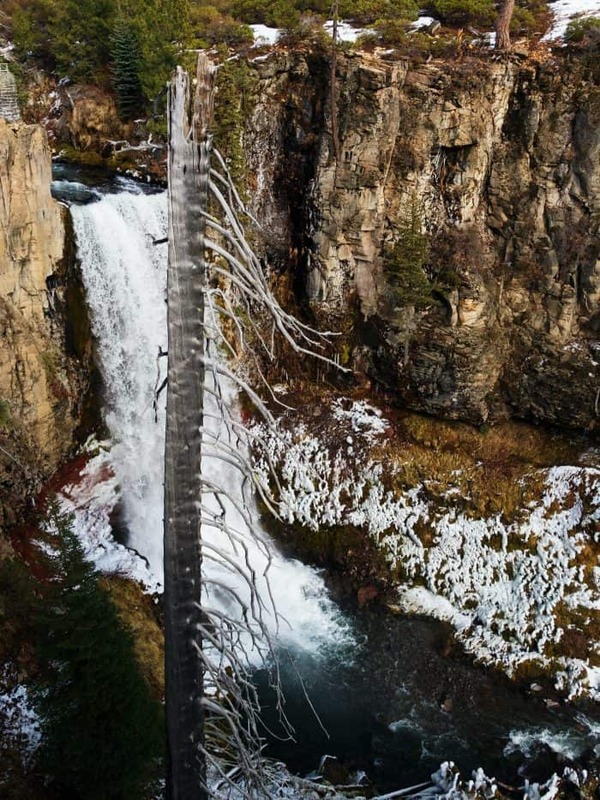 Adventure is all around, and it can actually be really simple. Look around your every day. Listen to what’s happening in the community. Then make your plans and get out and live. My husband and I took a hike to Tumulo Falls a few weeks ago. It was a gorgeous day, with a light dusting of snow. 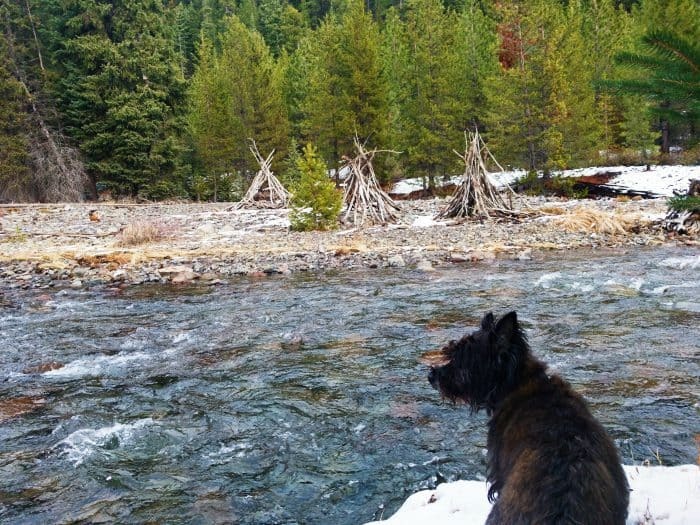 But then, we know we have to get off the trail before dark. 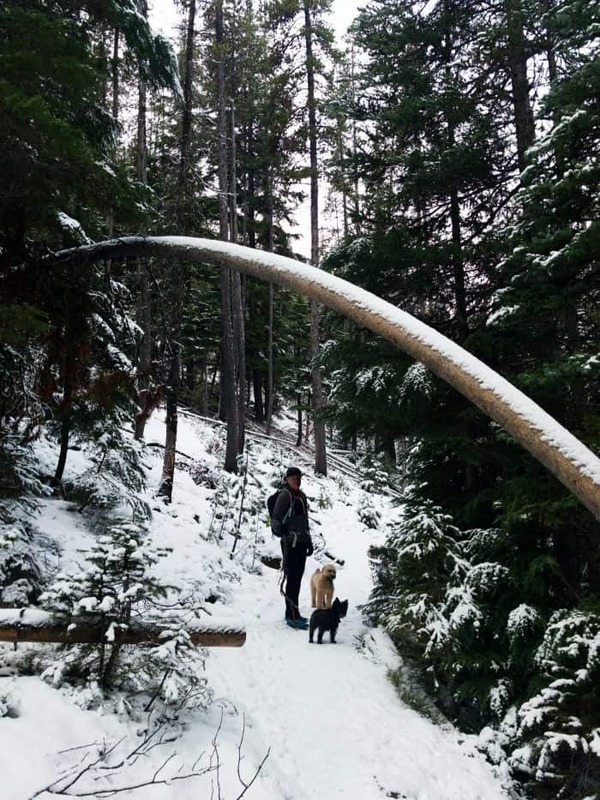 With the shorter days, we’ve been timing our hikes, getting home right around dinnertime. 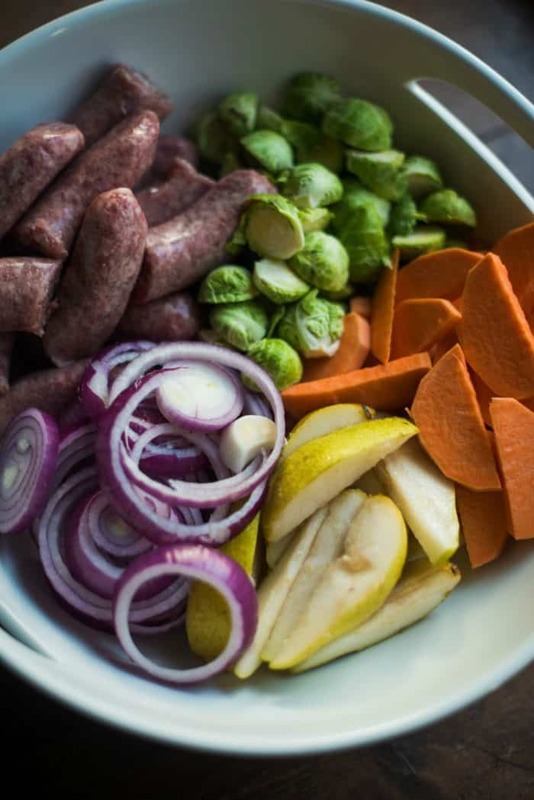 Home, just in time to put this Brussels Sprout Pear Bratwurst Sheet Pan Dinner in the oven! 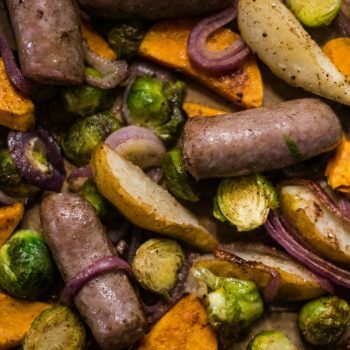 These easy ingredients make a delicious dinner: Brats, pears, sweet potatoes, and Brussels sprouts. We sometimes use two pans to ensure that all of the ingredients are spread out and cooked thoroughly. Cut in half, peel and and remove base of Brussels sprouts. Slice pear into 1-2 inch thick slices. Set aside. 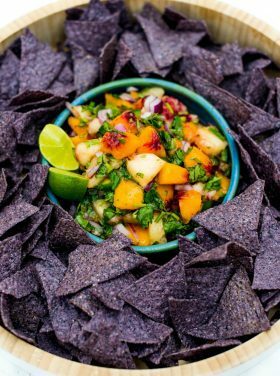 Peel and cut sweet potato into 1/4 inch thick half moons. 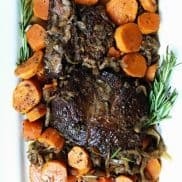 On large, foil-lined sheet pan (we sometimes use two pans to ensure that all of the ingredients cooked thoroughly) spread ingredients with enough room to cook evenly. Drizzle about 1/4 cup of olive oil into ingredients. Toss until vegetables and sausage are evenly coated. Sprinkle with cinnamon, salt, pepper, and add a drizzle of honey on top. Using your hands, toss once more. Place in oven and bake for 35 minutes, uncovered. More one pan meals: Mustard Salmon Sheet Pan Dinner [Foodie Crush], Sheet Pan Chicken and Potato Dinner [Nutmeg Nanny], and Easy Sheet Pan Breakfast Pizza [The Cookie Rookie]. great post, inspirational! 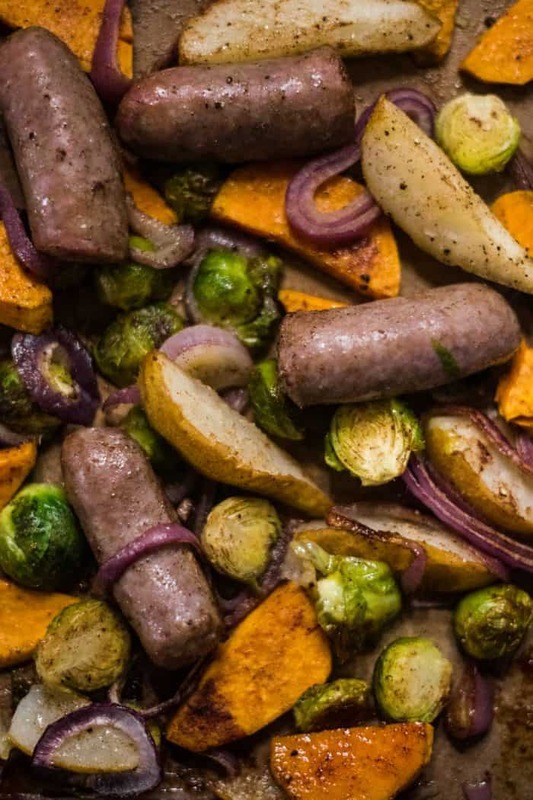 Also great recipe, have been pining for bratwurst since October-festing, love all of these other flavors too and even better, made simple in a sheet pan, thank you!